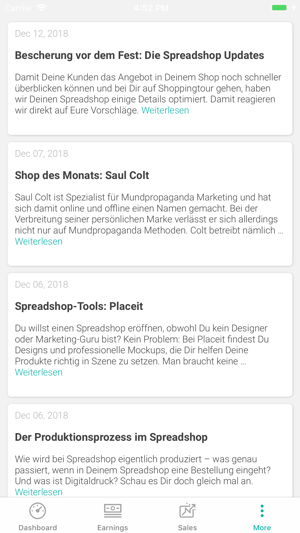 An essential app for anyone selling with Spreadshirt. 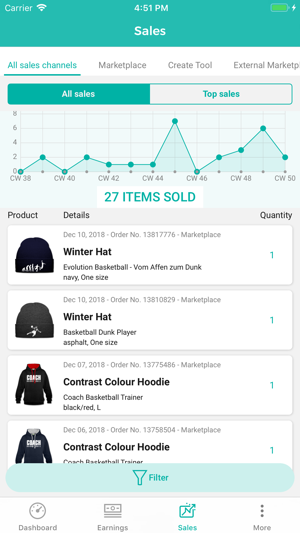 Quickly check up on your Shop, Spreadshirt Marketplace, and external marketplace sales, and receive a comprehensive overview of weekly, monthly or quarterly sales periods. Visit the earnings screen for an analysis of current and previous sales data, and head to the newsfeed for seller info and insights into customer behavior. Other notable features include sales alerts and an analysis of best-selling products and designs. 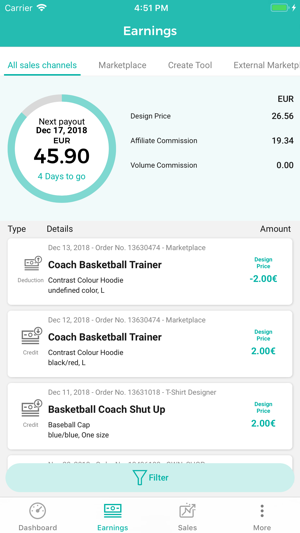 If you want to maximize your earning potential, the Spreadshirt Sales Stats app is the perfect selling companion. 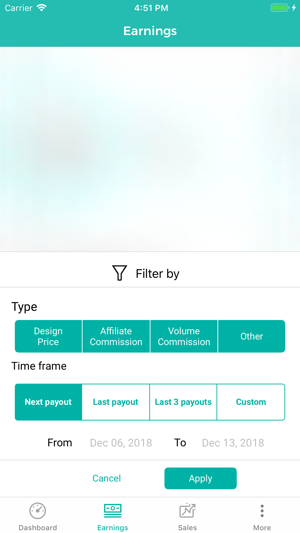 I downloaded this app hoping to have it take the mystery out of my sales and commissions. Instead I’m more confused than ever. 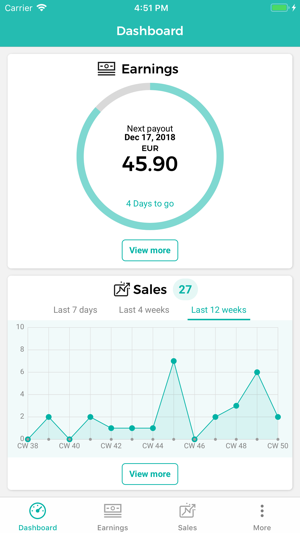 I get two totally different accumulated commission totals between the dashboard and earnings page, and to this date it is showing my last sale on the sales page as different from the earnings page. I really don’t understand any of it. If there was an easy way to move all my designs away from Spreadshirt tomorrow, I would, they are half the company they were a few years ago when they got rid of designated sales reps.
IOS 11 does not like this app. This app will not open since the recent iOS 11 update. I have uninstalled and reinstalled the app and still crashes. It is a great app when it worked but since the recent update it kept crashing. Will change review when app works without crashing. Edited: app works again and as promised my review is back to 5!! In theory this would be a great app to track sales, if it were updated in real time. 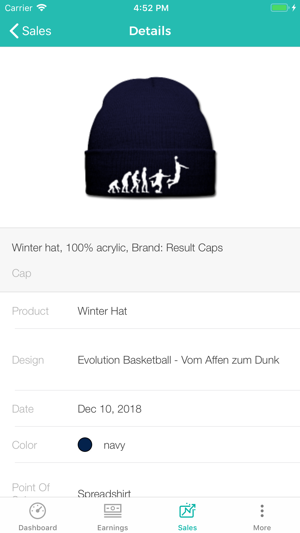 I get people sending me screenshots saying they purchased something, but I won't receive a notification of sale or see anything updated in the app until about a day later. It also doesn't display earnings for the period. I wish the app could also display and group top sale items by the specific product, design, and color, instead of just the general sales list.